The Supreme Court has observed that a civil suit could not be dismissed merely for some irregularity in the report of the Local Commissioner appointed for local investigation. In a suit filed seeking prohibitory injunction and recovery of possession, the Trial Court appointed a Local Commissioner. After considering the report by the Commissioner, and other evidence on record, the Trial court dismissed the suit. The first Appellate Court allowed the appeal and decreed the suit. In second appeal, the Himachal Pradesh High Court found that the Local Commissioner had not carried out demarcation in accordance with the applicable instructions and dismissed the suit on this ground. 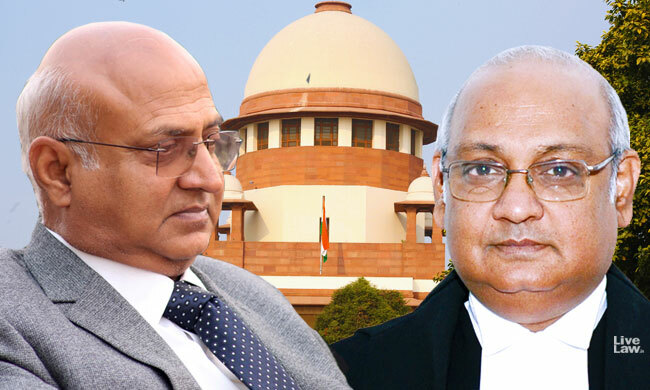 The issue before the Apex Court in the appeal filed by plaintiff (Ram Lal vs. Salig Ram) was whether was justified in setting aside the decree of First Appellate Court on the ground that the Local Commissioner had not carried out demarcation in accordance with the applicable instructions? "In the given set of facts and circumstances, we are clearly of the view that if the report of the Local Commissioner was suffering from an irregularity i.e., want of following the applicable instructions, the proper course for the High Court was either to issue a fresh commission or to remand the matter for reconsideration but the entire suit could not have been dismissed for any irregularity on the part of Local Commissioner. To put it differently, we are clearly of the view that if the Local Commissioner's report was found wanting in compliance of applicable instructions for the purpose of demarcation, it was only a matter of irregularity and could have only resulted in discarding of such a report and requiring a fresh report but any such flaw, by itself, could have neither resulted in nullifying the order requiring appointment of Local Commissioner and for recording a finding after taking his report nor in dismissal of the suit. Hence, we are unable to approve the approach of High Court, where after rejecting the Commissioner's report, the High Court straightway proceeded to dismiss the suit." The court also observed that the High Court overlooked the fact that the Appellate court had decreed the suit not only with reference to the Commissioner's report but also with reference to the other evidence of the parties. The bench then directed the Trial Court to decide the entire suit afresh after taking the report of the Local Commissioner afresh.